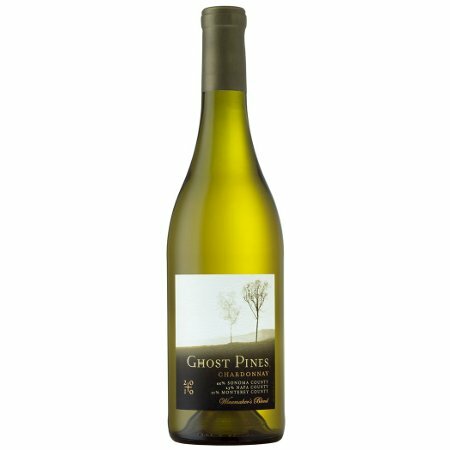 Our review of the Ghost Pines merlot was, in a nutshell, “approachable, rich, tasty, satisfying.” Bring it on. That is pretty much the polar opposite of how we found the chardonnay. This is forward, heavy, assertive to the point of being aggressive, and with many unusual peculiarities. For example, on the label it states notes of lemon cream which, in the end, you can discern (believe it or not), but not in a good way; rather, in the way of those old Peek Frean’s cookies which looked so tasty and in the end were hard and dry and only approximated a fresh baked product. Sure there was caramel in the GP but rich in a way some desserts are too sweet. All around we found this wine cloying. (But Robert Parker didn’t; he apparently loved the cornucopia fruit salad this displayed with gusto.) Think the Three Stooges: BANG, chardonnay, THWACK more chardonnay, not enough chardonnay for you? Step on this pitchfork and take another fruity hit to the bean. Sorry RP, know you would never stoop to slapstick to describe wine. Too bad, the loss is to your loyal fans, not the vintners. 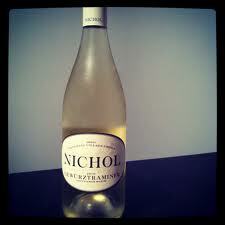 Here is our reflection: This is like a product with constituent ingredients masquerading as chardonnay. Some of the finest whites have hints and depths of flavours developed over time from, e.g., oak or steel or time on the vine or, in wine speak, malolactic fermentation. This wine is like a blank slate dressed up in fancy clothes, an adornment in the style chardonnay, but it would get a harsh diss from Joan et. al. at the Fashion Police as faux not finesse. Price: $22.99 at Everything Wine which, unfortunately, didn’t have the Merlot in stock. Market Liquidity: Worst dressed list. Too dumb to get this wine. Just a poor old sap. In fact it confused me. It was like the geometry section on my GREs. I will leave it to the con-no-sirs who have lauded it with plaudits. Not one for our palates. For us it was half typical chardonnay, wonderfully sharp balanced with smoothness, sweet and acid, and half Retsina, really just plain undrinkable unless you’re on a beach in Crete. So on the one hand magnificent, I loved it, but that moment lapsed. Then, on the other hand it had an unusual finish, a strange nose, and was unpleasant, even to one “sour”. Both good and bad at once. Very hard to explain. Think Rocky. Keeping in mind this is the same vineyard that makes the spectacular Eroica, reviewed here, it pains me to write how disappointed we were. Price: Gifted. No idea. But in BC their basic chardonnay goes for $19.99 so I would imagine this at $25-35. In a word, crawful. Harsh. Decanted, aerated, still a total wreck of a pinot. You can buy it everywhere so there must be a huge market for a wafer thin red with a chalky undertone and a virtually nonexistent nose. Thank goodness there was no finish. Enormously mediocre. And $22 friggin’ bucks to boot. Price: $21.99 (!!) at BC Liquor. Market Liquidity: Shurely shome mishtake? 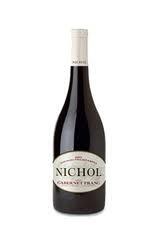 Lauded two fine Nichol wines, the Cabernet Franc here and Syrah here. Except for reservations about the steep price they were exceptional, we loved every drop. If I had the cash I would keep them by the case. Too bad I can’t say the same thing about the gewrurz. I think the first signal came in Libations Liquor when I asked the manager about the wine and his response was “it’s a very good gewürztraminer.” Seriously, that’s what he said, in total. Not even something just as generic but a little more qualitative such as “unlike the gewurtz you get from Alsace, this is more New World” or “very nice, although a little young and sharp” or a million other positive but realistic comments. OK, Nichol is pretty flat on this one. It’s not memorable, it’s 150 per cent not Pierre Sparr which, I might add, sells for less, didn’t sip with much finesse, fruit was suppressed, was not particularly food friendly—only mediocre with Vij’s curry chicken (home made, not the freezer stuff) when it should have been flash, and never warmed to a floral nose you expect in the varietal. For us this was a big no go. 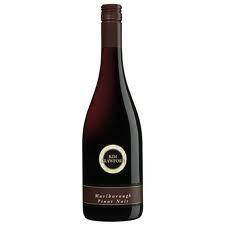 One of those wines in the liquor store with a rave review pasted to the wall beside it which I rarely take to mean it’s as good as the review but the Morse is OK and has a decent if a touch rough shiraz pizazz. Here is one way to think about this wine: Let’s say you go to a dinner party and are asked to bring a bottle of red. Dilemma 1: If you bring a really good bottle, a pricey bottle, there’s a good chance the host may not serve it. Bummer. Dilemma 2: If you bring a really good bottle, a pricey bottle, and the host does serve it, you may not get any. Too bad. Dilemma 3: If you bring a cheap bottle, chances are you’ll get stuck drinking it all night long. 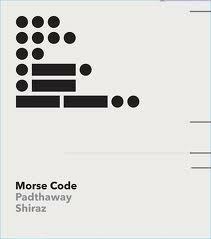 The Morse Code is a good compromise: Thrifty, you won’t miss missing out if you miss out and it’s no hardship to drink if you end up the only one drinking red. Price: $13.99 at BC Liquor. 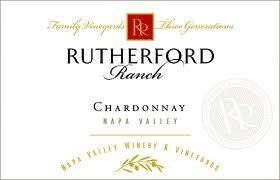 Very good balance for an inexpensive chard, and of course unmistakably chardonnay—but not unmistakable. Went well with sockeye salmon but chardonnay and salmon should be a marriage made in heaven and this was more Jen and Brad than Brad and Angelina. Has very good online reviews which emphasize the fruit but we found it a little top heavy with apple. Absolutely no bite (so probably a good palatable restaurant house selection). I couldn’t help but think of the Paul Simon line “so beautiful/so what.” Would I buy it again? Maybe, it’s spectacular value. Would I recommend it? Probably not. Price: Around $14.99 in USD, not available in BC. A gorgeous Cabernet Franc that comes together with exceptional balance—spice, tannins, fruit. The 08 is getting hard to find I’m told. I could drink it by the case. We had it with a cassoulet and it worked wonders but I think something with less kick than andouille sausage would be a more adept pairing. A lot of flavour to savour on the flavour profile: The sort of flavour profile so many descriptive labels promise but don’t deliver. Really can’t fault this gentle red. For all the attractiveness of the wine it was, surprisingly, quite weak on the nose. A long, leather finish. Very long and worth pondering. It reminded me of a fine Chinon we used to serve as our house red in a French restaurant in South Kensington, London (yes, that’s right, our house red was Chinon. Hard to believe when you live in BC but it was true…). And this CF, well hard to beat, unfortunately just out of our everyday price range. Price: Gifted (nice dinner guest! come back any time! ); sourced at Legacy Liquor for $33.75 or $30 from the vineyard, before shipping. Market Liquidity: Some good things come at a cost.